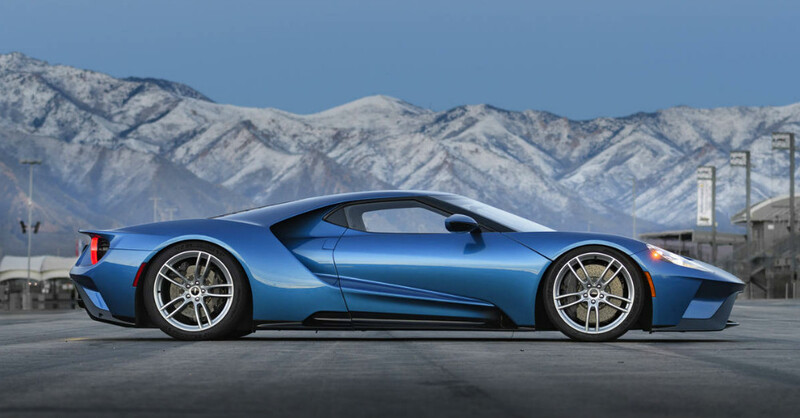 The Ford GT is one of the most iconic supercars in the world and the return of this car recently means we see a car that can offer an amazing performance on the road and at the track. The original GT40 was built in the 1960s with the sole purpose of the car being to challenge for and win the 24 Hours of Le Mans, which it did in glorious fashion. As the car that took the one, two, three podium finish at the race, Ford has brought the name back in a supercar that we admire for 2017 to give us a limited run of serious imagination. The first 500 examples of the new 2017 Ford GT were sold to buyers who were expected to be serious about the car and use them as intended. Not only were the buyers vetted and chosen carefully for these cars, with many of the new owners being the most famous car enthusiasts in the world, these cars were sold with a clause in the contract that would prevent them from being sold for at least two years. Famously, or infamously, John Cena purchased one of the first 500 models of the car and took delivery of it in September only to sell it to a California-based dealership a month later. This sale broke the contract Cena had with Ford regarding the car and the brand chose to seek damages and losses in the amount of $75,000 from the famed WWE wrestler and also sued the dealership, New Autos Inc. in Chino, CA. This negative press and following for this particular car was not what John Cena or the dealership desired or needed. Recently, Cena and Ford were able to reach a settlement regarding the lawsuit. While Cena has had to pay the $75,000 because of the breach of the contract, he negotiated that all the money would be donated to a charity to help those in need. This certainly was an easy decision for Ford and helped to spur some good will between the brand and the lauded wrestler who likely didn’t read the fine print in the contract that told him he couldn’t sell the vehicle for two years’ time. This settlement means the lawsuit against the dealership was also dropped, and that should be a relief for the owners of New Autos Inc. This dealership should have known the clause was in place for the car and never sought the purchase of the Ford GT. Since the settlement took place, Cena has apologized for selling the vehicle and encourages other Ford GT owners to respect the purchase contract and enjoy the cars they own. All parties get to come out winners in this incident and it can simply be chalked up to a bit of an embarrassing event in time that benefits the charity that was donated to. Looking for something with just a bit more brawn? Opt for the Ford F-150, a truck that can do it all!